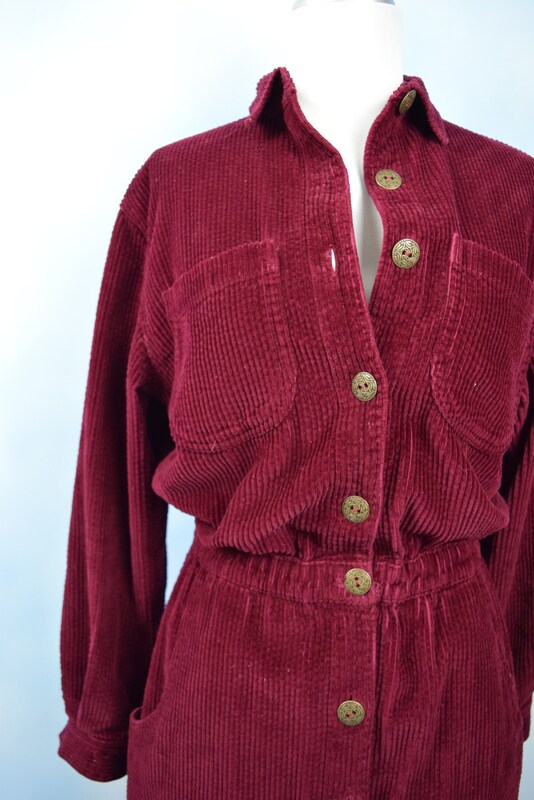 Coziest ever cranberry cotton corduroy button front pencil dress with side pockets. Partially elasticized waist. For reference, model is 5’7” and measure 34” bust, 26” waist, and 34” hips.